David Bergmann, age 51, of Aurora, passed away on Monday, July 3, 2017, at the scene of an accident near York, Nebraska. A Memorial Service will be held at 10:00 A.M., Saturday, July 8th at the Aurora Evangelical Free Church. Pastor Vance Christie will officiate. Inurnment will take place at Westlawn-Hillcrest Memorial Park Cemetery, 5701 Center Street, Omaha, Nebraska at 3:30 P.M. Saturday. Family will greet friends from 5 - 7 P.M. Friday at the Aurora Evangelical Free Church, 1202 A Street. In lieu of flowers, memorials may be made to the family to be designated at a later date. Higby-McQuiston Mortuary is in charge of arrangements. Condolences may be e-mailed to the family through the mortuary website at www.higbymortuary.com. 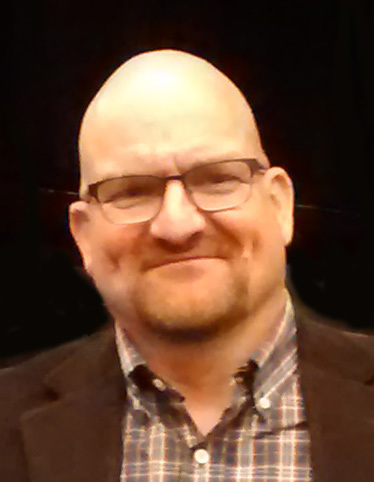 David Edward Bergmann, the son of Edward and Barbara (Zezulak) Bergmann, was born in Omaha, Nebraska on February 19, 1966 and passed away near York, Nebraska on July 3, 2017 at the age of 51. David graduated from Weeping Water High School in 1984, attended Central College of McPherson Kansas, and graduated in 1993 from Grace Bible College in Omaha. He entered the U.S. Army on September 17, 1986 and was honorably discharged after serving in Germany in 1988. David was united in marriage to Brenda Hatfield on June 24, 1989 at Bonners Ferry, Idaho. They made their home in Omaha, then Arapahoe, before moving to Aurora in 2000. David worked for Penner Manufacturing as a welder for the last 12 years. He also worked as a part-time bus driver for Arrow Stage Lines in Grand Island since 2016. David and Brenda had just celebrated their 28th anniversary. David was a member of the Aurora Evangelical Free Church. He enjoyed kayaking with his son, gardening, riding his bike, movie trivia, history, working out and spending time with friends and family. He was preceded in death by his infant daughter, Hannah Lee, Nephew Isaac Freitag 6yrs, Niece Rosemary Freitag 15yrs, and Father-in-law Lynn Hatfield(July 2005). Those who remain to cherish his memory are his wife Brenda of Aurora; son, Ethan Bergmann of Aurora; father & mother, Edward & Barbara Bergmann of Weeping Water, NE; brothers, Jeffery (Tina) Bergmann, Kyle ( Ellen)Bergmann; sister Christine (Doug) Freitag; Mother-in-law Rosalie Hatfield; brother and sister-in-law Allen & Linda Hatfield, Lynda & Leroy Dowd, and Roy & Marlyn Mastre. He is also survived by several nieces and nephew and many close friends.